Here’s the story. 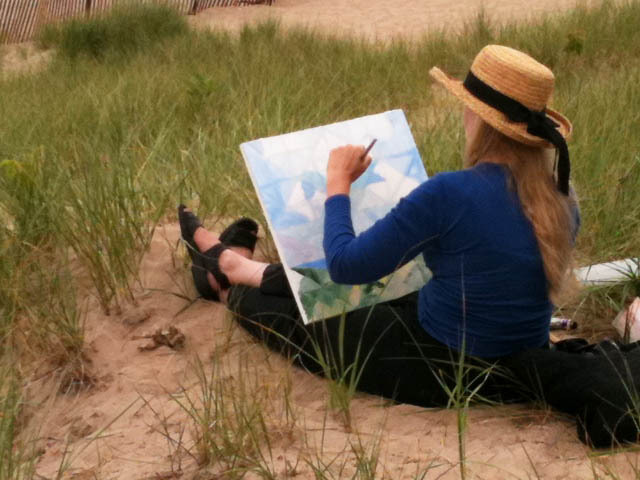 A woman with a straw hat sits on the reedy sand dunes and paints. It’s a beautiful, tranquil scene in all three photos. The information and the story are the same in all three, but the feeling changes from frame to frame. What has changed is the point of view of the photographer, in this case me. The point of view is synonymous with “feeling” or “interpretation.” This was not a deliberate sequence on my part. The interpretive value of the photos emerged only later when I saw them next to one another. The first two shots (above and right) convey information. 1. 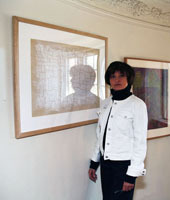 The tension created by the placement of the figure high in the frame and to the right. 2. The dominance of the path leading up to her. This path takes up about a quarter of the picture’s surface! It’s the “negative space” that carries a feeling of suspense. 3. The figure takes up 1/30 of the pictorial surface, but it’s her that we focus on because we want to empathize with her and are curious about her feelings. 4. 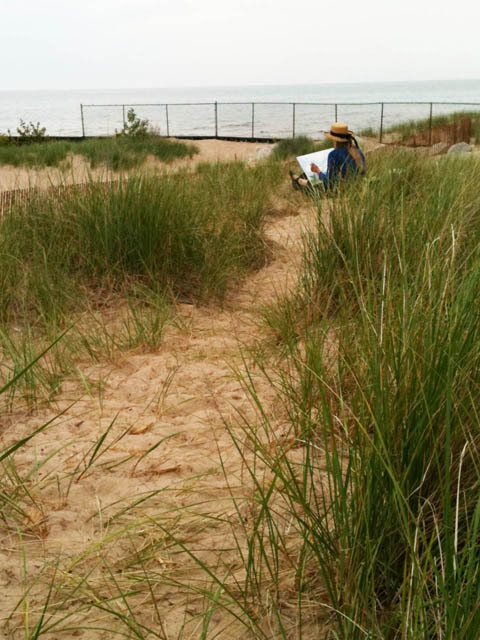 The shapes of the grassy patches and sandy paths are triangles that point to the figure. The edge of the large block of grass on the right leads directly to her. 5. The high horizon lends gravitas and pessimism to the composition. 6. She is facing the lake, a feeling of openness and freedom, but at the same time there’s a rectilinear fence obstructing her view. 7. 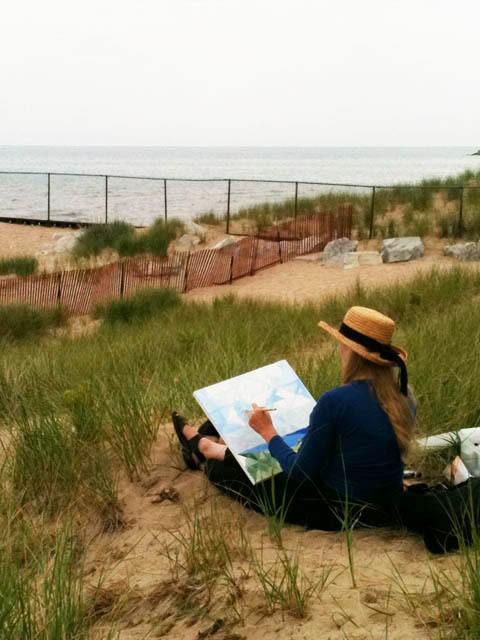 The story of the woman painting is bucolic, picturesque, and peaceful. The composition says the opposite; it says, yes-but, it’s not so simple, it’s complicated. In the next post I’ll focus on #s 4 and 5 and we’ll talk about the painting itself.